*Maybe we’ve forgotten just how big Tiger Woods was in the sports world. 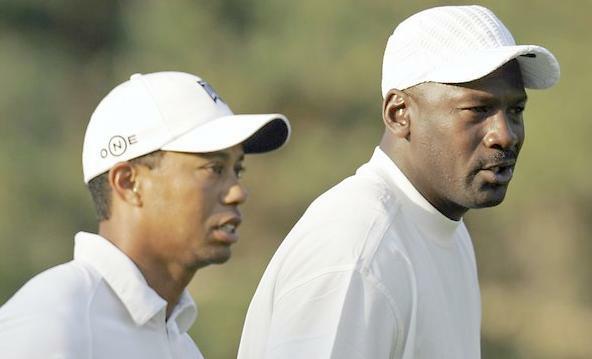 No one will ever reach the heights that Michael Jordan did – Jordan hit just at the right time, with the right sport, and the right personality – but Eldrick “Tiger” Woods came the closest. Think of how alike the two are. Absolute masters of their craft, with a flair for rising to the occasion and coming through in the clutch. Impactful, if not overwhelmingly charismatic, with their commercial endorsements. A public persona of detached aloofness and mystery, easily explained away by being on that higher plane of existence few public figures have ever achieved, the byproduct of being the absolute best at an activity millions play. The difference between the two is simply the era that they dominated. Would Jordan’s career have been the same if the same pervasive media attention was focused on his foibles (the gambling, his fiery locker-room persona) that was on Woods’ extramarital affairs? Certainly, it was reported (read the remarkable Sam Smith book “The Jordan Rules” for more details) but it didn’t have the same cultural, bad-taste impact that the Woods scandal did, in an era of TMZ and Deadspin and E! and thousands of other outlets covering it like the roof of the United Center. Would Tiger’s scandal have reverberated so thoroughly if it had taken place a decade earlier? We have different lasting images of these two icons, so much alike. One, hanging in the air for a final game-winning shot, the stunned faces of a Utah crowd spread out before him (after all, no one really has any memories of that Washington experiment ); the other, contrite, head down and ashamed, at a circus-like press conference apologizing for his actions. We can only speculate on whether Tiger has a second act that will replace that image in the public’s minds. Rebuilding his endorsement portfolio is the natural first step.